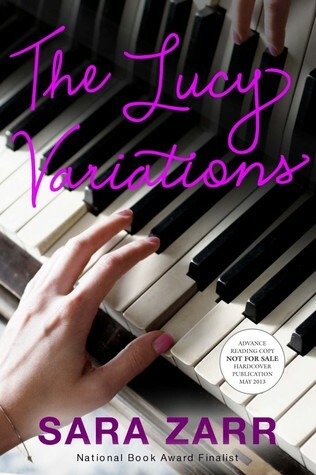 The Lucy Variations is Sara Zarr’s latest novel, due out March 2013. Lucy Beck-Moreau used to be a child pianist prodigy; she did the circuit of competitions and concerts, and was expected to continue performing throughout her adolescence. She comes from a wealthy and talented family, and her grandfather, a lover of music and performance, has the resources to ensure Lucy’s successful career. However, after having a breakdown on stage during a performance, Lucy quit playing piano and hasn’t been near one since. Her family, for the most part, tiptoes around her, except for her grandfather whose disappointment is palpable. Making her exit from a career in music even worse is the fact that her younger brother Gus is on the same path that she veered from. After Gus’s piano teacher dies unceremoniously in the Beck-Moreau living room, Lucy’s grandfather interviews and hires a young man named Will to replace her. When she watches the way Will teaches Gus, she believes that she might be able to find a way back to playing the piano, even if it is only to play for herself. However, it’s a long road to returning, as Lucy must deal with the daily disappointment of her grandfather, the heavy sense of the way she has let him down hanging over the house that they all live in together. After quitting, Lucy had to return to school; she attends a high school with her two best friends, although she consistently has trouble getting to school on time. She is used to the flexible schedule her musical arts allowed her, and still can’t get a handle on normal, everyday life. Zarr has allowed for so many textual nuances in The Lucy Variations. She references contemporary and classic music almost constantly, as a way of describing Lucy’s taste and character. She also points towards the way that art can shape a person as much as family, school, and society can. Zarr includes “Lucy’s Love List” at the back of the book, a collection of the music discussed throughout and the reason why each song has been included. It’s a fun extratextual move from reading to listening, and I found that I did youtube many of the songs as they were mentioned throughout the novel, and again when I found the list. For a book about music, Zarr does emphasize the ability to find a way to listen to Lucy’s story as well as to read it. Lucy’s interactions with her friends and family are so carefully described, and the way that her performance, followed by her leaving it behind, has affected her life is visible even in the way that she interacts with the people around her. Thanksgiving is a particular highlight of The Lucy Variations, not just for the spread of food described, but also for the way that Lucy experiences a normal holiday away from the pressures of both her mom and her grandfather. I read The Lucy Variations around the same time that I was reading Love and Other Perishable Items, and I was struck by the similarities between each, namely, the way their young female protagonists crush on much older men. 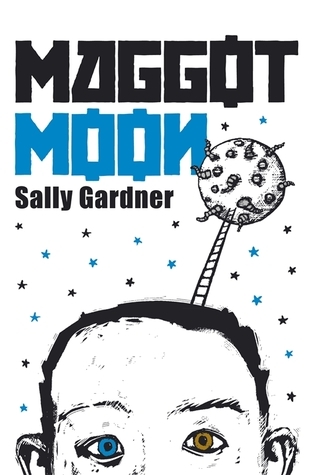 In Zarr’s novel, Lucy is enamored of both Gus’s piano teacher and her own high school English teacher. Zarr emphasizes what it is, exactly, that these two men hold for Lucy, and how her life performing for an audience has shaped her concept of normalcy. As well, The Lucy Variations felt very similar to a Deb Caletti book. It had a good, strong story that used beautiful and surprising writing to support a likeable protagonist. Zarr’s books are so remarkably different from one another that it’s difficult to compare The Lucy Variations to any title that has come before. It is hard to believe that How to Save a Life preceded this title, and Zarr’s ability to so completely step outside of one novel, set of characters, story, form, and style in order engage with something different surprises me every time I read one of her books. "People were talking a lot about death that fall, the fall of my senior year, because Brooke Lee had died right there in the girls’ bathroom across from the gym. I didn’t pay attention to most of it. My classmates were no more than what Usha and I had named them – biblicals, well-rounders, testos, and the rest – and they were always babbling on about one thing or another. But after I died, they started talking about my death and then I had no choice but to listen." Seventeen-year-old Paige Wheeler fell off the roof of the school during physics class. At least, she’s pretty sure that her fall was an accident. She died, but instead of moving on, she finds herself stuck at Paul Revere High School, locked into a radius that allows her to venture just to the edges of the school grounds. Brooke and Evan are two other seventeen-year-olds who died at the school – Brooke from a cocaine overdose in the girls’ bathroom, and Evan from something else, although he is hesitant to talk about it. He has been at the school for years, but neither Brooke nor Paige know for how long. The three ghosts haunt the school, attending classes during the day and retreating to the library at night. Evan attends all of Mr. Fisk’s art classes, but Paige is more deliberate in her daily actions. She follows her best friend Usha and eavesdrops into conversations that have her death as the topic. When “the gaggingly beautiful Kelsey Pope” spreads a rumor that Paige jumped from the roof, committing suicide, Paige decides she has to do something. She doesn’t want the rumor getting back to her friends and family; she is positive that her fall was an accident. 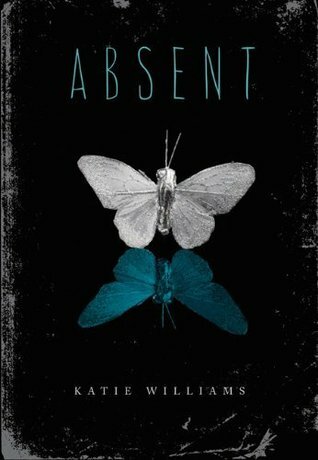 Absent is a book about the reaction to death, and in this case, not just the reaction of students to the death of a friend, but how a teenager reacts to the fact of his/her own death. Paige is around to watch her friends in the aftermath of her fall, and she fears the day that they will start to forget about her, slowly but surely. She died as a senior, and she faces the fact that the people who know her well will all be graduating from high school at the end of the year. Williams weaves Paige’s confusion over her death with the reality of the world moving on without her. 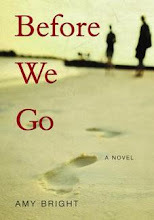 Her desperation leads her to inch her way back into the lives of her friends in any way she can. Regardless, Absent places Williams’s writing on display, and invites the reader to get wound up in a lyrical, descriptive story narrated by a likeable and ghostly protagonist. She writes about high school in a realistic and perceptive way, getting right the small details about the way it becomes a small world for teenagers for the years that they are stuck there. I picked up Wonder by R.J. Palacio for the cover and synopsis a few days ago, and read it in one sitting. It is a fast, affecting, and thoughtful read, and follows August Pullman through his first year of middle school at Beecher Prep. August hasn’t attended school before. He knows about school – his older sister Via is starting high school at the same time August starts middle school – but he has been homeschooled by his mom for his entire life. Homeschooling is, in part, a protective impulse. August was born with a facial deformity that prevents him from living a completely “normal” life; the moments in which the ten-year-old registers the look of terror, revulsion, and horror on the faces of the people who spot him are heart breaking. He has gone through more surgeries than Palacio relates, but now he is facing a stretch of a few years when no new surgeries are necessary, and he can start adjusting to some sense of routine. Palacio’s ability to write from August’s perspective is one of the most important aspects of this book. She never clearly describes the full extent of August’s facial deformity; instead, she relates it piece by piece, setting up a jigsaw puzzle that doesn’t have a corresponding picture that notifies the reader what the final image should look like. From the dust jacket description, I thought that Wonder was going to be entirely August’s story, but after a few dozen pages the point of view switches suddenly to August’s sister Via, who is going through her own transition from middle school to high school. Even she does not shed light on the exactness of August’s facial deformity. Instead, she describes the surgeries, the people who are afraid of her brother, and her own experience living with August. Rather than jumping back to August’s perspective, Palacio moves to new characters for almost the entirety of the book. These are August’s and Via’s friends, although August tells the majority of the story. “Yeah, I do,” I said, because I knew the second she started talking about him that it was that kid named August. While August’s life has not been easy (and his narration makes this clear), the characters that surround him have had to deal with difficulties that may not be as bad as what August is dealing with, but they have still affected who they are and what they are capable of. Via is the most striking example of this. Her love for and care of her brother is detailed by August in the first few pages of the book, however, Via supplements this by telling the reader how difficult it has been to grow up in a house with August. She says, “August is the Sun. Me and Mom and Dad are planets orbiting the Sun. The rest of our family and friends are asteroids and comets floating around the planets orbiting the Sun…But this year there seems to be a shift in the cosmos. The galaxy is changing. Planets are falling out of alignment.” Her own relationship with her grandmother is central to Via’s story, a relationship not as available to August because his grandmother passed away while he was still young. Via, however, spent a lot of time with her. Palacio also references so many books, movies, and songs from popular culture that are relevant to younger middle school readers. Diary of a Wimpy Kid and the “Cheese Touch,” the Magnetic Fields, Star Wars, classical and contemporary literature, and others are consistently at play in Wonder. Palacio’s combination of numerous perspectives and forms (one section is told through Facebook, email, and texts) attempts to create a whole picture of August and his experience. There is even a section narrated by a character named Justin is completely undercase (although there does not seem to be a reason for this change in style). Wonder is at one affecting and understated, with a vast array of characters that each have something important, yet quiet, to leave with readers. Standish lives in an alternate reality set in the 1950s, where he lives in the undesirable Zone 7 with his Gramps, which is under strict control of the Motherland. Gardner utilizes a back and forth narrative that doesn’t stick to linear time; instead, she jumps back and forth to cover different periods of Standish’s life in Zone 7. These include the time he lived with his parents, when he moved in with his Gramps, when Hector and his parents, Mr. and Mrs. Lush moved in, and when Standish and his Gramps were on their own again. All of this leads up to a startling conclusion to the story that is detailed step-by-step, as Standish attempts to put in motion a story about a hero who defeats a giant that he remembers from childhood. Frick-fracking hell! I should have seen that coming. Mr. Gunnell’s cane made my eyes smart, hit me so hard on the back of my hand that it left a calling card. Two thin, red weals. Mr. Gunnell wasn’t tall but his muscles were made out of old army tanks with well-oiled army-tank arms. He wore a toupee that had a life of its own, battling to stay stuck on the top of his sweaty, shiny head. He put his hand on my shoulder and squeezed it. That squeeze said everything. It said, thank God you are all right. What would happen if we sat here dead still, did nothing? Would time leave us alone, pass us by? The newest addition to the Lemony Snicket narrated universe is “Who Could That Be at this Hour?” Snicket is thirteen-years-old, quite a bit younger than the more adult Snicket that shows up in A Series of Unfortunate Events to tell readers about the from-bad-to-worse situation of the Baudelaire family. Snicket has just started his apprenticeship with S. Theodora Markson (and the “S.” remains a mystery throughout the book, even though Theodora makes use of quite a few words that start with that letter), who is ranked at the end of the list of apprentices young students like Snicket can be paired with. This is, Snicket says, when he chose her. 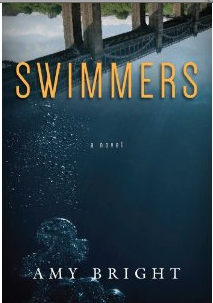 The characters in this book stand out so clearly that it is impossible to leave them behind at the end of the novel. They are illustrated by Canadian comics artist Seth throughout the novel, which makes them even more tangible. This is only the first book in Snicket’s new All the Wrong Questions series, and so there is still much more of Snicket’s description, characters, and incredible storytelling to come.